Living Well is for women from Calderdale and all surrounding areas with, or who have had cancer. If you want to bring a close friend, partner or carer with you then they too will be able to take part in activities and talk with others in a similar situation. There is no charge for therapies; if you stay for lunch we welcome any donation you are able to make. Living Well offers you the opportunity to take time out, come and talk to others, find useful information and approaches to help you in your recovery. 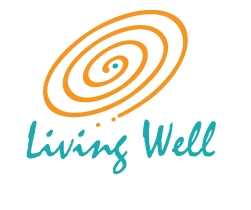 Living Well offers complementary therapies alongside your medical treatment. A range of individual therapies and groups which you can try out. The individual therapies ease stress and encourage deep relaxation. The groups are an opportunity to learn new skills and approaches to aid your long term recovery; eg. visualization, meditation, and Tai Chi. Each month we share a delicious healthy lunch.